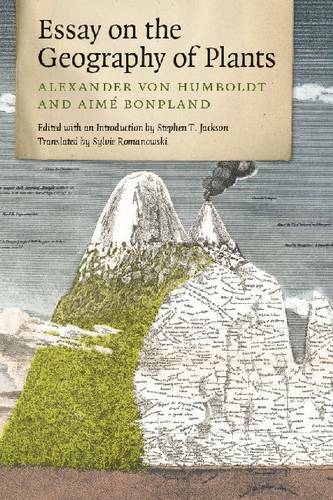 The legacy of Alexander von Humboldt (1769-1859) looms large over the natural sciences. His 1799-1804 research expedition to Central and South America with botanist Aime Bonpland set the course for the great scientific surveys of the nineteenth century, and inspired such essayists and artists as Emerson, Goethe, Thoreau, Poe, and Church. The chronicles of the expedition were published in Paris after von Humboldt's return, and first among them was the 1807 "Essay on the Geography of Plants." Among the most cited writings in natural history, after the works of Darwin and Wallace, this work appears here for the first time in a complete English-language translation. Covering far more than its title implies, it represents the first articulation of an integrative "science of the earth," encompassing most of today's environmental sciences. Ecologist Stephen T. Jackson introduces the treatise and explains its enduring significance two centuries after its publication.